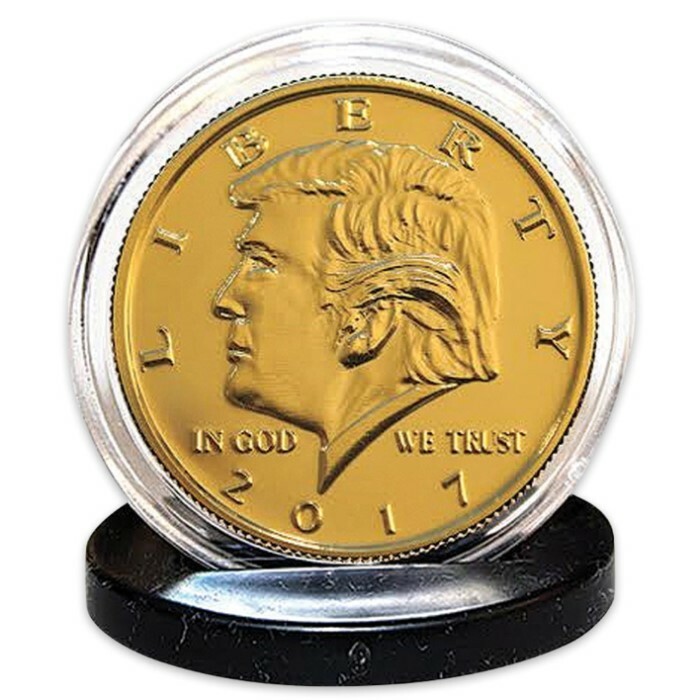 Donald Trump 2017 Inauguration Tribute Coin | Clad in 24K Gold | Mimics JFK Half Dollar | BUDK.com - Knives & Swords At The Lowest Prices! 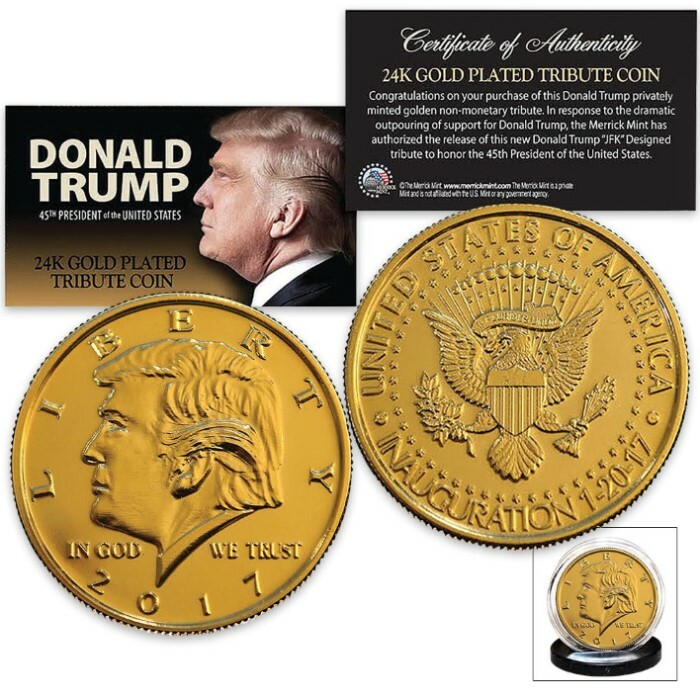 Here is your chance to collect the first ever 2017 Donald Trump Tribute Coin, designed in the style of the classic John F. Kennedy, Jr. Half Dollar and fully clad in genuine 24K gold. This limited edition privately minted golden proof non-monetary issue will never be released for circulation. 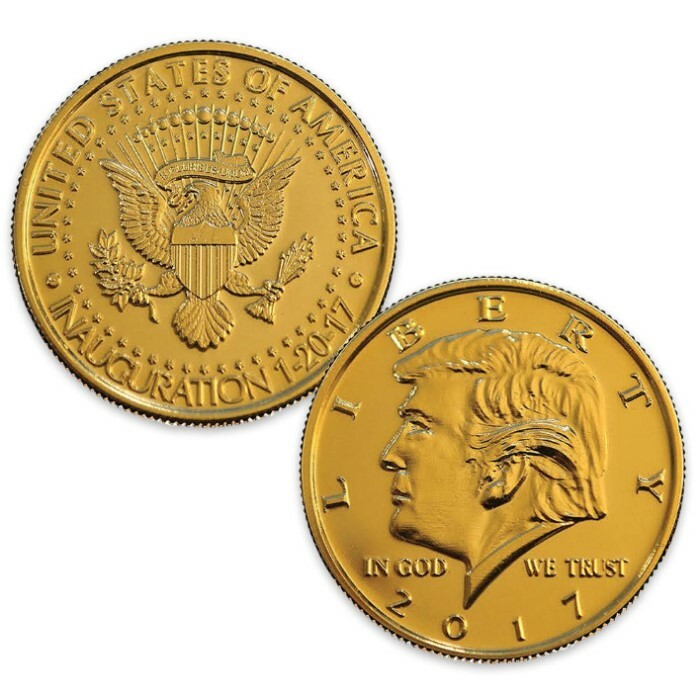 Like all Merrick Mint coins, the 2017 Trump Tribute Coin boasts superb attention to detail. This commemorative collectible is only available through this special private minting. It's an eye-catching conversation piece and lifetime keepsake. Comes in transparent acrylic coin capsule with display stand. Makes a great gift for the coin collector in your life! Bought two as Christmas presents to myself; one to display and one to carry. Great quality, well worth double the price.